PHOENIX – As a pan sizzles, grins and laughter fill the room. Young chefs chop carrots and thinly slice onions. 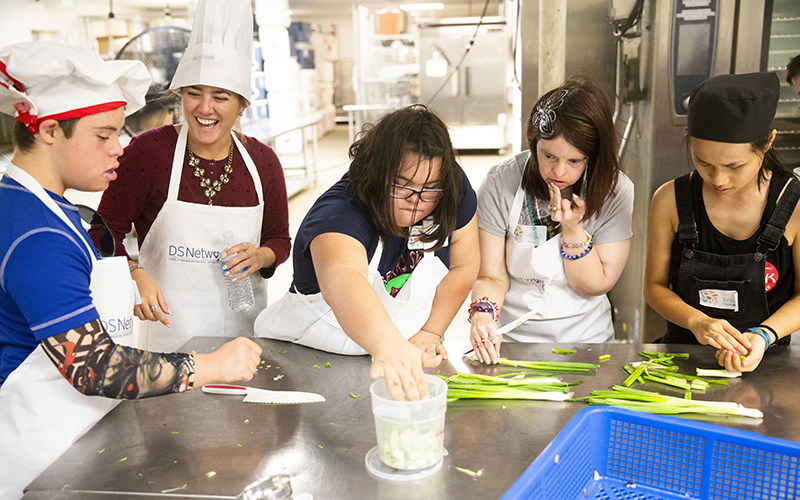 Besides a meal, the students in this cooking class are preparing for job potential. The teacher, Kris Mill, owner of Wok This Way, operates food trucks for a cause. 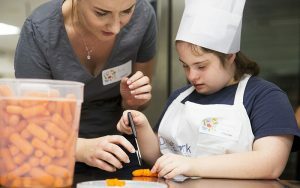 Besides running a vegetarian and environmentally friendly business, she conducts a cooking class for people with Down syndrome. She wants to teach them to be independent, whether that is serving home-made meals or cooking their way into a restaurant job. “Everybody has strengths and we just have to look at each other’s strengths and put them to use,” she said. According to the U.S. Bureau of Labor Statistics, 18 percent of people with disabilities were employed in 2017 compared to 65 percent of the abled population. 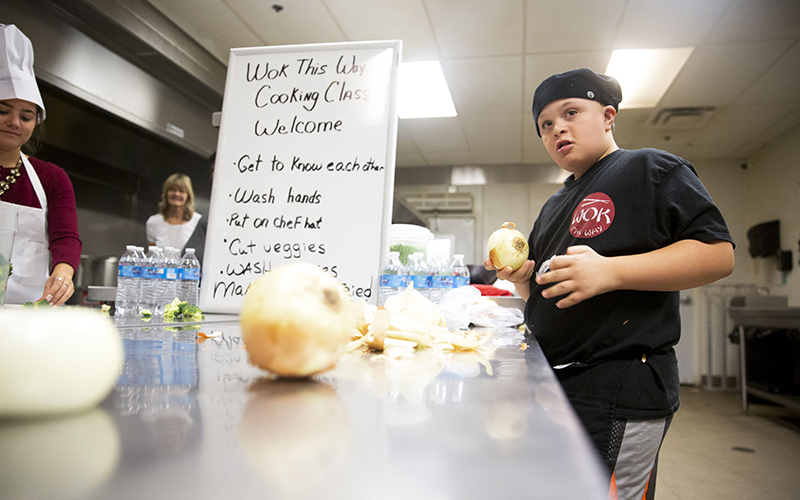 At a recent cooking class, Mill brought in ten students with Down syndrome to help give them a kick start to a career. “I want to come here to learn how to make dinner and stuff,” said student Frank Joseph. Mill calls her work empowerment through employment and urges other business owners to follow her example. It’s worth the investment in time. “Everyone with special needs can learn,” Mill said.